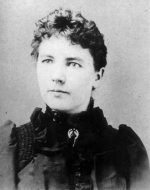 Laura Elizabeth Ingalls Wilder (February 7, 1867 – February 10, 1957) was an American author who wrote the Little House series of books based on her childhood in a pioneer family. Laura’s daughter, Rose, inspired Laura to write her books. A compendium of stories, poems and articles, some of which have new illustrations. Pa takes a job on the railroad and moves Ma, Laura, Mary, Grace and Carrie to the Dakota Territory where they spend the winter in a surveyor’s shack. A collection of stories about the pioneers in America. The story of Almanzo Wilder growing up with his brother Royal and his two sisters on a big farm in New York state. This is the story of Almanzo Wilder and his brother Royal growing up with their two sisters on a big farm in New York state. The first four years of Laura and Manly’s marriage brings joys - the birth of their daughter Rose - and sorrow - the loss of an infant son and a devastating fire. This is a collection of recipes from Laura Ingalls Wilder’s own cookbook. A day-by-day planner or diary for fans of the Little House series. In this, the first volume of her family saga, Laura Ingalls is living with Pa and Ma, Mary and Carrie in the Big Woods of Wisconsin near Lake Pepin. This is a collection of the columns and stories Laura Ingalls Wilder wrote for periodicals, many for the Missouri Ruralist. In the second book of the Little House series, Pa takes the family and sets out for Indian Territory to stake a claim. This is an anthology containing On the Way Home, West from Home and The Road Back Home, the story of Laura and Manly’s return to South Dakota in 1931. In the seventh book of her biographical series, Laura is living with Ma, Pa, Mary, Carrie and Grace in De Smet and earns her teaching certificate. The Indians warn that there will be a hard winter so Pa moves Ma, Laura, Mary, Carrie and Grace to his store building in town for the winter. The Indians predict a hard winter so Pa moves Ma, Laura, Mary, Carrie and Grace to his store building in town.